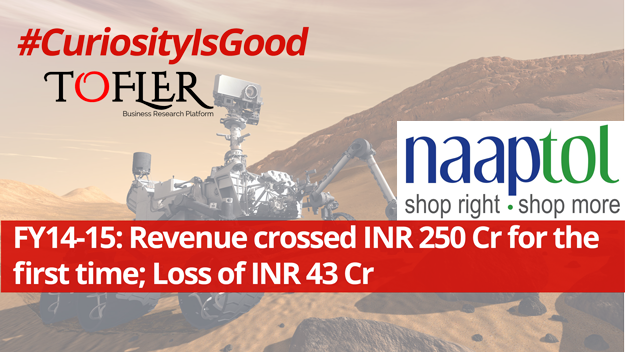 Naaptol saw a 2.3 times rise in its revenue for the FY 14-15 as its revenue grew to INR 289 crores. The company is currently the third largest player in the digital commerce platform market with presence across TV, web and mobile. 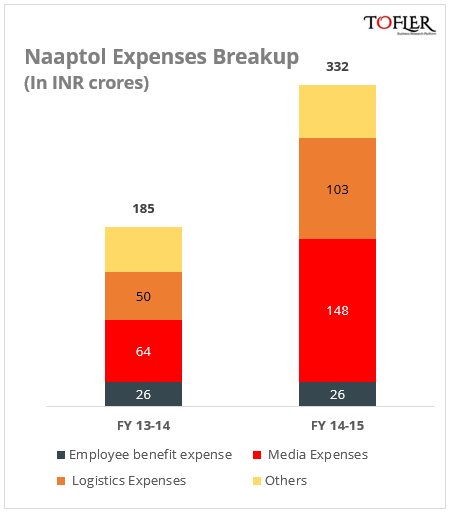 Naaptol reported a revenue of INR 289 crores against a loss of INR 43 crores. 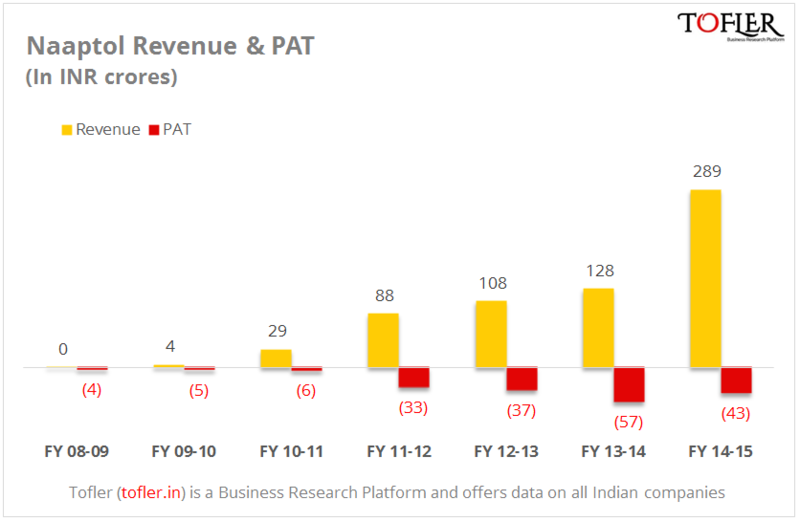 Last year’s revenue and PAT figures stood at INR 128 crores and INR 57 crores, respectively. This was revenue growth of 125% in the period. Naaptol is owned and operated by Naaptol Online Shopping Pvt. Ltd. Founded by Manu Agarwal in 2008, it is a comparison based social shopping portal and is available through website, mobile app and TV channel Naaptol Blue. It competes in its segment with players like Shop CJ Live, Homeshop 18, DEN-Snapdeal TVShop among others. While Naaptol Blue is a Hindi language channel, it also has vernacular presence with separate channels in Tamil, Malyalam, Telugu and Kannada. Over the years the company has transformed from a price comparison site to be present across multiple channels. The company has secured a total funding of INR 665 crores from various investors including Mitsui & Co., NEA FVCI Ltd. and Canaan Partners. The latest round of funding was secured in October 2015 for INR 343 crores from Mitsui & Co. 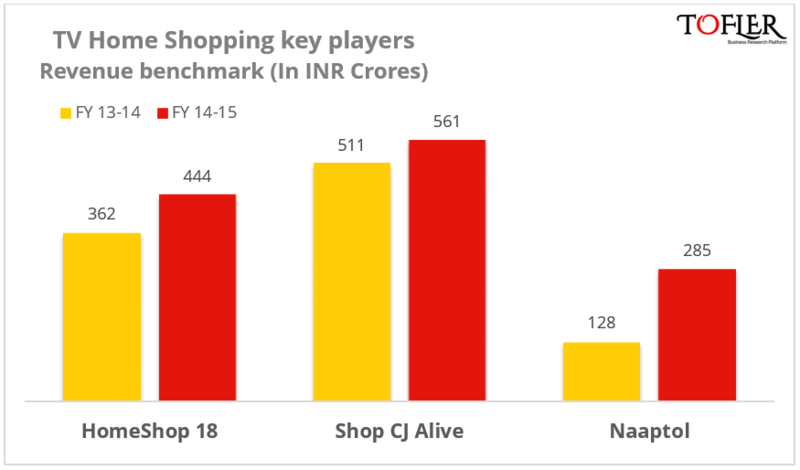 The company competes closely with veteran players like Homeshop 18 and Shop CJ Alive, which have been operational for 10 and 8 years, respectively and new players like DEN-Snapdeal TV Shop (incorporated in February 2014) and Best Deal TV (incorporated in December 2014). Compared to Naaptol, FY 14-15 revenue figures for Homeshop 18 and Shop CJ Alive stood at INR 444 crores and INR 561 crores, respectively. The three companies hold a market share of about 85% in TV home shopping market. In the Indian context, though internet penetration is increasing rapidly, TV as a medium still has a wider reach across India. According to Broadcast Audience Research Council, the estimated television audience stands at 153 million homes. The TV shopping market is mainly driven by the housewives. The industry is expected to reach INR 50,000 crores by 2020 and has attracted players like Snapdeal to have their presence in the medium.